Welcome to the PCB Design tutorials. In this set of tutorials we aim to teach you all about electronic PCBs (Printed Circuit Boards), what they are, why they are used, how to design one and how to get them fabricated. Whilst many hobbyists do not require PCBs to be fabricated for their project to work, many may feel that they want to start producing and selling their project whilst others just want a clean and simple board to hold all of their circuitry. Getting your PCB fabricated does not have to be as expensive as you would think, and using these tutorials we’ll teach you everything you need to know to get from breadboard to PCB. 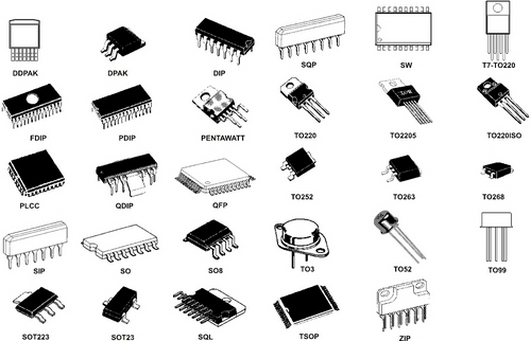 Let’s start off with the basics: what exactly is a PCB? A PCB (Printed Circuit Board) uses copper tracks and an insulating material to both hold the components of a circuit together and connect them electrically. Once the board has been fabricated, components simply need to be soldered to the board in order to complete the circuit. This allows for hundreds of PCBs holding the same components to perform the same function (useful for mass production). An electrical engineer will design and prototype their circuit in whichever way they choose, whether it be on a breadboard or by interconnecting prebuilt modules together. However once a circuit is complete and ready to be manufactured, the easiest way to keep the whole circuit together and connected neatly is to use a PCB. PCBs are literally just a board, usually made from a material called FR4 with copper tracks laid on top. After this another material called a solder resist is applied on top, covering the copper tracks and leaving space only for the components pads/legs to be soldered to. The solder resist is what gives the PCB it’s colour; traditionally green, however it can come in a variety of colours. The coloured solder resist is designed to stop solder from sticking it to it when molten. This allows for an unsoldered (but populated) PCB to be dipped into a bath of hot solder, which, after removal will solder the components to the exposed metal. This does of course also work for hand soldering, or using a paste called solder paste, but we’ll cover all of this when we look at how PCBs are manufactured. As a circuit becomes more complicated and as the space for the board decreases, you will find PCBs with more than one layer. Simply by placing copper tracks and solder resist on both sides of our FR4 board, we can create a 2-layer board. After this we can create a 4-layer board which gives a PCB with copper and solder resist on each side along with 2 extra layers of copper sandwiched in between to add more space for connections. There is no real limit to how many layers you can have in your PCB (aside from thickness), computer motherboards for example typically have 6 or even 8 layers. A Through Via connects one layer to another by passing through all the layers of the PCB. If you are using a 2-layer PCB, all of your vias will be through vias. A Buried Via connect one inner layer to another inner layer. These aren’t visible from the surface of the PCB and are costly to make since the inner layers of the PCB must be fabricated before the outer layers can be fabricated around them. A Blind Via, like a buried via does not go all the way through the PCB, but unlike a buried via, a blind via connects an inner layer of the PCB to the outer layer of the PCB. So far we’ve introduced the concept of single and multilayer PCBs and vias. We’ve also vaguely seen a pad and a hole. But wait there’s more. As you may (or may not) know, electronic components are generally packaged into two types of package: through hole packages and surface mount packages. Through hole components are designed to be fitted into the PCB through holes. The leads (legs of the component) are soldered to Annular Rings on the PCB. An annular ring is the expose metal that lies around the hole. Holes on a PCB are often filled will metal on the walls. These are called Plated Through Holes. All holes should be plated, if they weren’t then the exposed metal on each layer wouldn’t be connected together. Surface mount components sit on Pads. Since this doesn’t rely on a hole taking up the same position on each layer of the PCB, the use of surface mount components is often preferred as more components can fit in a smaller space. The layer of copper which connects each pad, hole, via etc together is called a Trace. We’re going to leave it at that for now, but in our next tutorial we’ll look at electronic schematics.